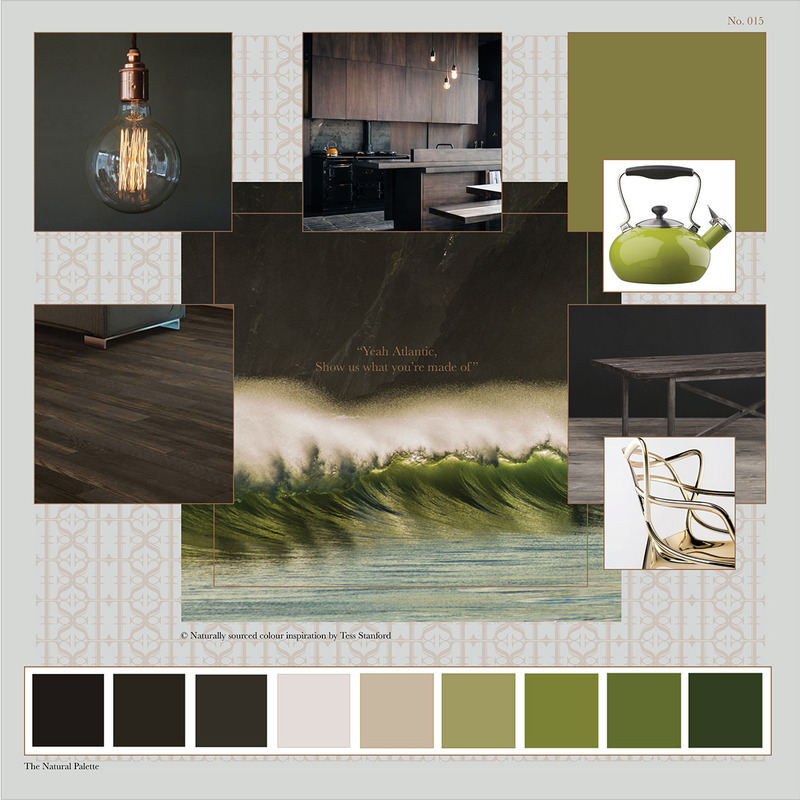 Green, the Pantone colour of the year combined with chocolate browns. Good enough to eat, this palette is!! Bascially green is now being introduced across all aspects of design and architecture. Green is seen as a sign of life and known to be a great balancer. It is believed to be a colour to get rid of negative emotions and mental stress, it reduces over-stimulation and restores stability in other words balance and harmony. It is known in holistic circles as a colour of healing. Wowsers, let’s get some green into a palette I thought. It’s everywhere in nature and not being a fan of the particular Pantone colour of the year huge, together with team we found our own tones. I wanted a real depth of colour in the greens to be complimented by a colour that would add a richness to the palette. 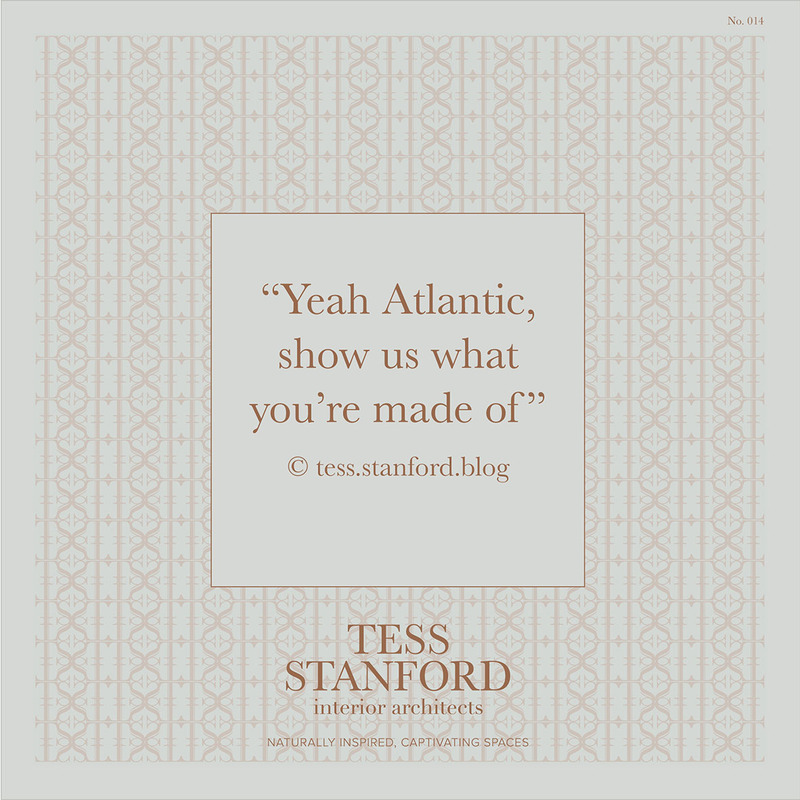 The Atlantic, ocean provided the inspiration. The result is rich, it’s sumptuous, it’s almost edible. 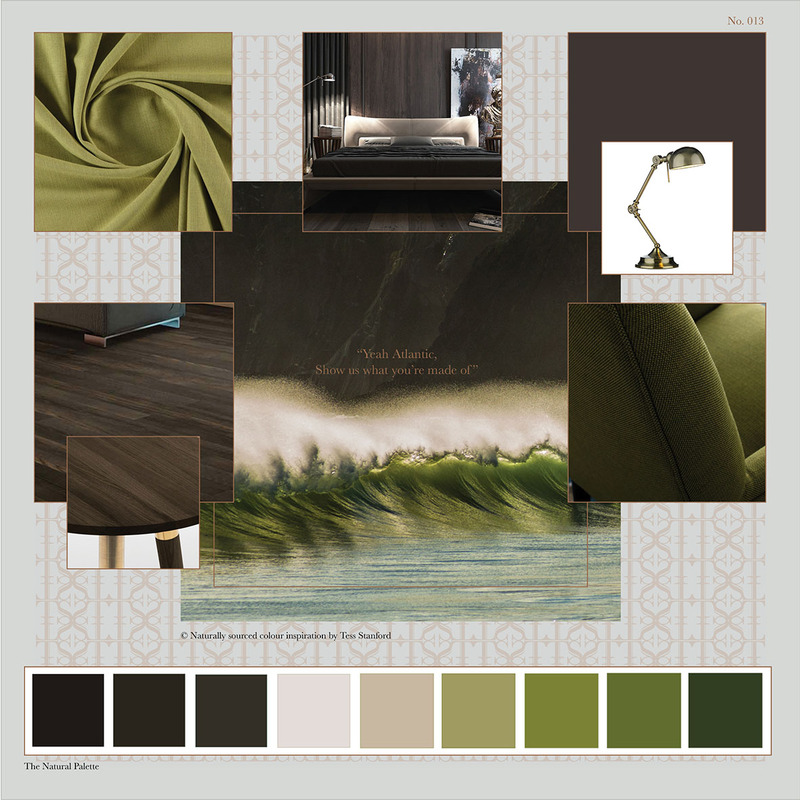 Rhea Curtain and Upholstery Fabric, Dark Bedroom image by Paul Zagrabchuk, Mindwest Där Ranger table lamp, Colourtrend Bridle Path, Made Range Round Coffee Table, Dark Stain Ash Veneer and Brass, Pergo laminate flooring . Kitchen image Pintrest (abduzeedo.com), Colourtrend Verdant Leaf, Kettle from pintrest, Dining table Heals Axel Dining Table by Timothy Oulton, Kartell Masters Precious Philippe Starck, Pergo laminate flooring .